I'm sitting here wondering if I should buy Stop Smiling online (It would be like $12.00 [with shipping], and that just seems like a lot of money right now) or just call the two barnes and nobles in my area tomorrow and ask if they carry it, but they're probably not even open yet due to the hurriacane last week. And what if I get the copy in the mail with Ed wearing that bikini top? I don't want that one. I have no interest seeing Ed in a bikini top. "Disgraced Paintball Legend Bobby Dukes, who was caught "wiping" during a championship game with the River Rats back in 1993, returns after a self imposed 10 year exile." There's also an official site on the movie too. I don't know if this is going to be an independent movie, a tv movie, or a movie movie you'd see at the AMC 24. (ditto with FIrst Time Caller) Well, I guess if they are movies movies, I get to go to the movie theater for the first time since 1999. I just don't like going to the movies. Does anyone know if they sell this mag at the Barnes And Noble @ William And Mary? If so, could you send me an e-mail? Or anywhere in the Hampton/Newport News/ Williamsburg VA area? Anita's Daily Show Page - features quotes, screen captures, a ticker of correspondents and dates they appeared on the show, and cast birthdays. Ed Hemls* [a project] - features a biography, images, and lookalikes. So It's Come To This.... - a "news" blog about Ed Helms. *=yeah, I've given up trying to make titles that are relative to the entires. I mean I do it for all my other weblogs. There's a nice little picture of Ed on the eatingit.com page. According to the newsletter, the site will be updated much more than it was last "eating it" season, so maybe there's going to be some more pictures of Ed on there. 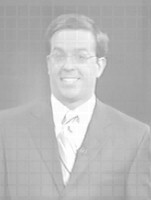 Mo Rocca as Dr. Francis H. Flenderman, Ed Helms as Leon. They're Cops. There is now an IMDB listing on "First Time Caller" the movie that Ed is going to be in next year. It looks like Mo is going to be in the movie also. I know I haven't really talked about the specail last Monday on the site that much, but I'm going to try to start on the synopsis for it this week. I've been getting a lot of search hits from my TDS blog for "Ed Helms Fired". But I guess you can say that neither of them really got fired...unless none of them are on next week when TDS goes back into new episodes Tuesday.